We videoed a great discussion with James H. Longmore at a meet and greet at Fleur Fine Books in Port Neches, Texas. Longmore discussed issues with getting his first book, “Flanagan” published and did a short reading from it. 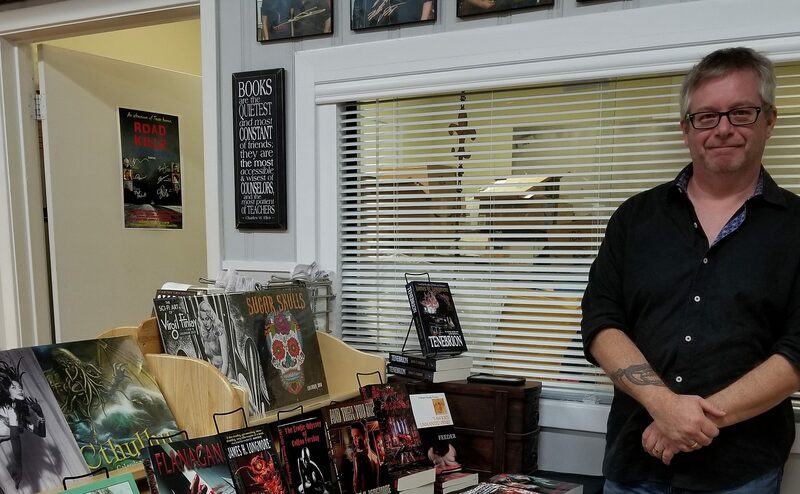 He also discussed some of his other books and anthologies, some of which are put out by his own publishing company Hellbound Books. Longmore also discussed giving advice to other authors submitting to Hellbound Books. Longmore writes dark humor, horror and erotica. He is also a filmmaker, comic, radio show host,and a delightful Texas transplant from across the pond in Yorkshire. Enjoy the accent!